We are manufacturing and exporting Auto Hot Stamping Foil Roll Cutter, which is broadly utilized for different material applications. Our foils have fantastic scraped area and scratch resistance which makes these perfect for bundling distinctive items. We can give our customers altered hot stamping foils according to their differed necessities. 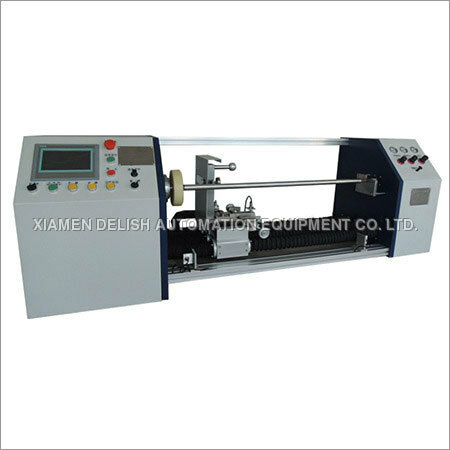 With the backing of our gifted group of experts, we offer customers a subjective cluster of Hot Stamping Roll Cutter. This Roll is made from preeminent evaluation crude material and forefront innovation remembering most recent business sector patterns. Our accomplished quality controllers make utilization of most recent machines and apparatuses in testing procedure to take out every single conceivable imperfection. We offer this Roll to our valuable customers at extremely sensible costs. The machine has a high efficiency to cut faster and efficiently. It demands less maintenance and easy to operate. It consumes less energy and work efficiently for longer duration of time. It is available in industry leading prices.